Blocked sewer lines are never a problem that should be taken lightly. Earlier this year in June, a blocked sewer main in Newhall was the cause of spillage of some 500 gallons of raw, untreated sewage. The spilled sewage, first noticed at Waltman Circle, ended up inside the storm drains, with 200 gallons being captured there. The rest of the sewage was released into the storm drain channel, which feeds directly into the Arroyo Simi Creek. Days after the incident, there were still signs advising residents to avoid contact with the water around the storm drain as far aways as one mile downstream. Why Are Sewer Blocks Dangerous? The type of scenario where 500 gallons of untreated sewage is released into your home is something that’s not likely to happen, but a blocked drain line will cause the sewage from your home to back up, and even a small amount of it can become a big problem rather quickly. Aside from the damage to your home, raw sewage is a serious health risk. Coming in contact with it while you’re trying to handle a sewage backup or while you’re dealing with the aftermath will cause health issues. That’s why any problems with sewage need to be addressed quickly and efficiently and, if possible, prevented rather than cleaned up. What Causes Sewer Blockages and How to Know the Sewer Is Blocked? There are many different things that can block a sewer line. Tree roots are a common cause of sewer blockages because they can penetrate the pipe and grow in it until they completely block it. Old sewer pipes can simply collapse because they’ve been worn out. The buildup of greasy materials is also a common cause of sewer blockages. It’s very important to determine the cause of the sewer blockage if you want to make sure that the sewer is properly fixed. A tree root, for example, will puncture the sewer pipe, leaving a hole where other debris can fall through, or where sewage can simply seep into the ground. It wouldn’t suffice to just remove the roots, as the pipe needs to be fixed as well. Any problem with a sewer line, whether it’s caused by blockage or burst pipe, is best diagnosed using a sewer camera inspection. 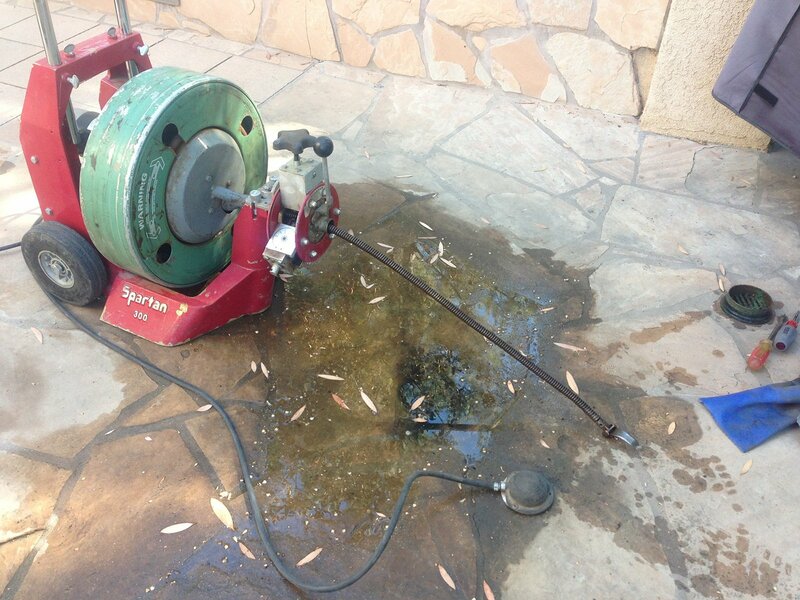 The method used by Rooter Drain Experts involves using a special flexible sewer inspection camera which can be pushed down the line all the way to the cause of the problem. By using a sewer camera to diagnose causes of sewer line problems, plumbers can save you, the homeowner, from having your lawn, basement, or other parts of your property excavated. Sewer camera inspection is one of the non-invasive plumbing operations applied by Rooter Drain Experts to determine and fix the problems with your sewage. In most cases, they can also fix broken pipes without having to dig around your property by using a method called trenchless sewer pipe repair. Blocked sewer lines are never a problem that should be taken lightly. Earlier this year in June, a blocked sewer main in Newhall was the cause of spillage of some 500 gallons of raw, untreated sewage. The spilled sewage, first noticed at Waltman Circle, ended up inside the storm drains, with 200 gallons being captured there. The rest of the sewage was released into the storm drain channel, which feeds directly into the Arroyo Simi Creek. Days after the incident, there were still signs advising residents to avoid contact with the water around the storm drain as far aways as one mile downstream.